In 2004 Sohrab realized an ongoing ambition to publish his own print magazine, Doo Bee Doo Bee Doo, devoted mainly to traditional and World music. The magazine was widely available for free in cafes, book stores, cinemas, fashion and record retailers, and music venues in Tokyo, Japan. Sohrab published the magazine through his own record distribution and artist management company, POP BIZ Ltd., that also put on an annual music festival. Doo Bee Doo Bee Doo was the first magazine of its kind in Japan, and its content and clear philosophy received high praise. In the spring of 2008 Saadat closed his Tokyo company and decided to move to New York. 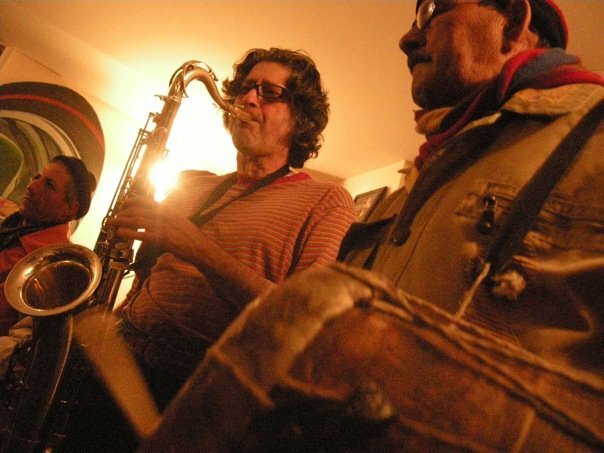 While settling down in New York, Saadat met many people and musicians from different countries and cultures. He felt there was a gap between coverage of interesting World-culture and traditional music in New York, and trendier youth culture in New York. So in the summer of ’09, Saadat re-launched DooBeeDooBeeDoo NY as an on-line magazine. In addition to listing events in New York City, it will also profile personalities and businesses of interest to the community, with links to related media and websites. The magazine is committed to supporting music and culture not affected by commercialism.